So all of my kites are packed away waiting for me to move to Seattle with the exception of a recently acquired fearless light (thanks to Jim). 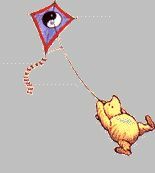 While I suspect the fearless will keep me occupied during my time of transition, I'd like to take this opportunity to obtain another standard weight kite. I've wanted a Hydra for a while and have accepted the fact that I will probably not have the opportunity to get the original Focus sail pattern (unless Paul will loan me the templates to make my own... ). Now that ITW is making them I will probably go that way... The debate comes when I look at the Crackerjack. Not many videos, no noted reviews but the same price as the hydra. You can get an Nfx for about that - one of the best price/performance kites in my opinion. Next to my trans and fearless, it's one of m favorites. Worth looking at the German Drachenforum for some feedback on the Crackerjack. I can't speak about the HQ Crackerjack. Certainly looks good in the videos. I'd gently caution about buying a Hydra unless you've flown one. I flew a Focus Hydra for a while back in 2009. Very well made, great componentry, etc. an extremely competent trickster with a very wide wind range. But it was a kite with enough individuality for me to eventually pass it on. I wouldn't go so far as to describe it as quirky, but it needed to be flown the way it was designed to be flown - not the way I prefer to fly. Rather than change my flying style (or lack of) to suit the Hydra, I passed it on to someone who loves it. Not flown the Hydra and the Crackerjack is a bit of an unknown quantity - looks good but recent big HQ kites haven't lived up to expectations - both the Falcon and the Infinity while good were not quite there. In your price range I would very seriously consider the Flying Wings Soul - excellent kite with build quality right up there. Standard will fly from 4- mid high teens and it will do any trick you want and it's sooooo smooooth! It really is a very underated kite. Is that the kite or the kool-aid you're talking about ? Honestly, I wouldn't go with either, even though I picked the crackerjack. The Hydra and I never got along, or the Jinx for that matter. I literally could barely do anything on the kites, and when I did it looked pretty awful, just because it's so different from my flying style. Spent about a month trying to adapt, and couldn't do it. So I admitted defeat and sold them. Honestly if you want a 200 to 250 dollar kite thats a kick in the pants, I'd go with an Ocius UL. Smaller, faster, tricky, even tracky (haha), and has an awesome low end as well as upper. I've flown mine in 15mph on the middle knot and it was a total blast. My favorite of the Ocius line. and you can buy one new for 200-250? He is referring to the fearless light I already have. Nah, must feed the addiction......more kites! !